Birthed in the USA half a century ago, the spark and story of OneSpirit has evolved over the last 50 years - what remains true is our devotion to peace-building, compassion and forgiveness. The impulse for this specific work began in the 1970’s, arising in tandem with other world-wide movements to inspire compassionate expressions of human and all sentient life. The catalyst for this particular field of work was the Holocaust during the Second World War. In facing this atrocity, a group of diverse religious leaders in the USA – including a Rabbi Gelberman – enquired into what it was that they might do if they united their leadership influence. From the start the impulse was therefore not so much centred on dialogue between different faith paths. Instead the focus was on the power and usefulness that their shared leadership influence could bring to attend to the suffering of the world, were they to face in the same direction. The OneSpirit Interfaith Foundation’s origins go back to 1981 when The New Seminary was founded in New York, USA by Rabbi Joseph Gelberman. 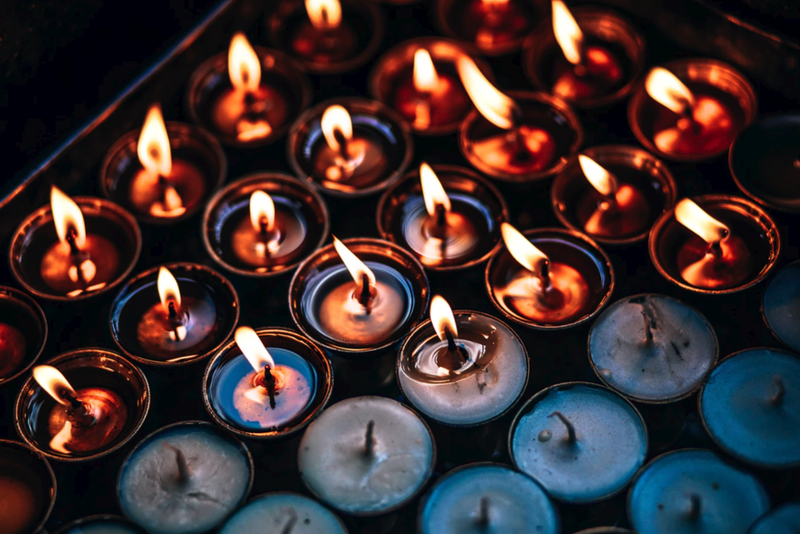 Together with others, Rabbi Gelberman was inspired to support the exploration of how diverse religious and spiritual leaders might together serve the true needs of the world. The New Seminary arose from this inspiration, enabling others to come and develop within this intention. Years later Diane Berk, a core part of the New Seminary faculty, founded the Interfaith Seminary, also in New York. In the mid 1990’s the founder of our UK organisation, Miranda Macpherson (then Holden) undertook the USA training. With the support of the USA school and others, Miranda was inspired to open The New Seminary in the United Kingdom. The first two year programme to train interfaith ministers and spiritual counsellors in the UK was launched in October 1996 in London with the first Ordination held in 1998. As our organisation’s leader for its first 10 years, Miranda developed a steady growth in student numbers; recruited a talented team of faculty and visiting speakers; and led the development of new teaching methods and materials. Miranda stepped out of the Seminary’s leadership in 2006. Now known as Miranda Macpherson, she teaches and leads spiritual retreats around the world. In 2002 we changed our name to The Interfaith Seminary, echoing changes taking place within our colleagues in the USA. In 2004 we became a registered charity, operating under English law as an educational trust. When the founder leaves, change is inevitable as the organisation recalibrates its position and potential. This period could be described as the democratising of our organisation: the leadership base widened, most clearly evidenced in the training being offered now not only in London but in Manchester, Edinburgh and near Gloucester too. This meant, most significantly, that the teaching was now led by more than one central teacher. In this period we learnt – literally and symbolically – that the essence of the teaching that this training was expressing was not dependent on any one person, and that it could be delivered authentically and in ever-evolving ways by a cohesive faculty working in different parts of the UK. In parallel the conceptual underpinnings of ordination made a significant shift. In essence the ordination was no longer conferred by the single central teacher. Instead the individual ordinand steps forward into a period of silence, receiving their ordination as an inner and self-directed movement. During this second half of our history, in 2011, we changed our name to One Spirit Interfaith Foundation, indicating our wish to maintain connection with our USA colleagues as they too evolved their identity. It also signalled that we no longer saw ourselves as only a seminary given that our organisation now included a growing community of graduate ministers. The OneSpirit Interfaith Foundation is now a living field of circles within circles including faculty, trustees, mentors, staff, supervisors, students, post-graduate students, all our ministers, resonant fellow colleagues in similar organisations, clients of our ministers, and the family and friends of all our ministers. The need for the presence of OneSpirit, and the impact of its training upon all whom it touches, has never been more timely or relevant. In a world of profound beauty, searing suffering, and complex challenges, the inquiry that this process facilitates enables the heart’s truth to be embodied, and all that blocks it, to be brought home with compassion. These friendly and relaxed information sessions allow you to get a taste of our teaching approach, as well as connect with current students, ministers, and faculty. These relaxed gatherings allow you to follow your curiosity and get a sense if this path might be right for you. We welcome you in your inquiry. Our Intro Days offer an opportunity to directly experience our teaching approach, as well as connect with current students, ministers, and faculty.